SynergyNet has published a report on the Governance performance of our government and what kind of crisis it is facing. These infographics show us how government should improve its performance, and provide a roadmap for better governance. 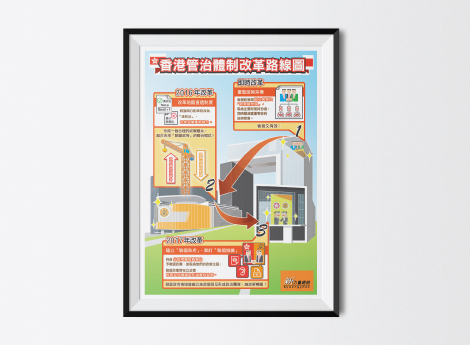 This project aims to visualise dozens of pages of a report into easy-to-understand infographics. This attracts more readers of the report, and allow them to comprehend more of the information in a shorter time. 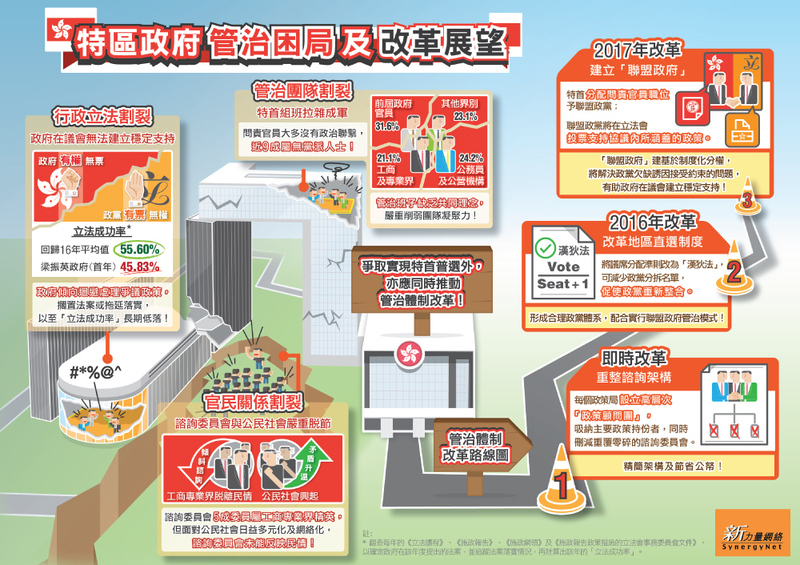 After carefully studied the report, we separate the content into two major parts, and thus created two infographics — Governance Reforms 2014 and Governance Crisis 2014. 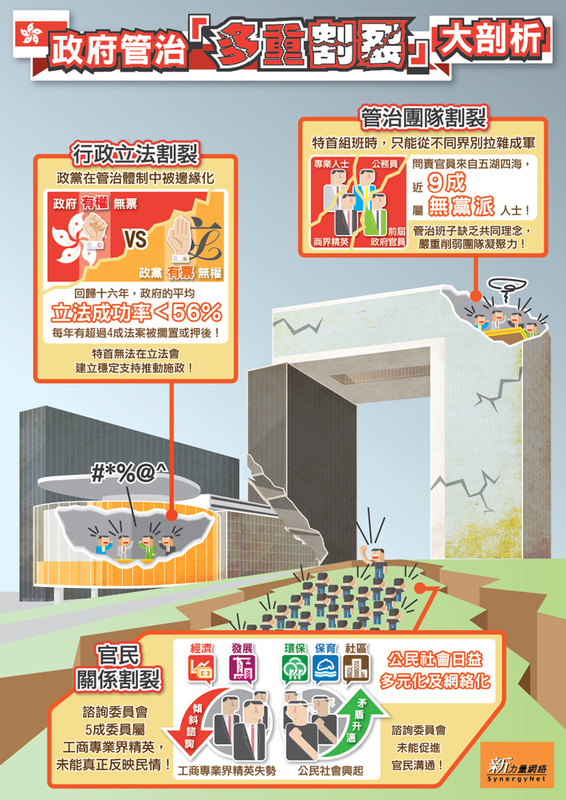 These two infographics share the same layout and composition, using Central Government Complex as the background and graphical theme, and the degree of damage to the complex represents the governance performance. We developed an interactive slider to let readers compare the two infographics. 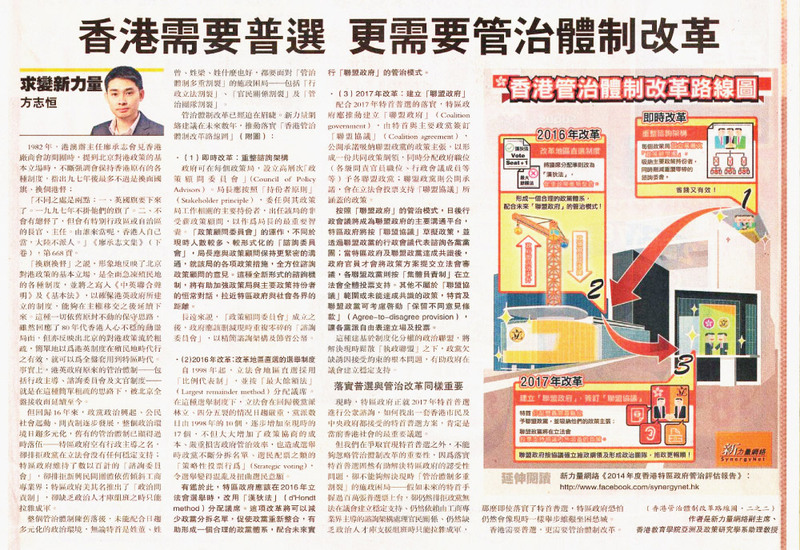 The readers could explore and compare the governance crisis that the Government is facing and the reforms Government could take to improve their governance. Through interacting in the infographics, the readers could understand the issues better and better recall the information afterwards. Move the slider to compare the “Before” and “After” of Governance Reforms. In order to facilitate the think tank to distribute their report to the press, we’ve designed another integrated infographic to present both analysis and recommendations for better governance. 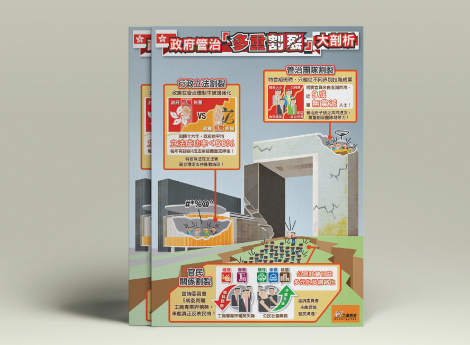 This will help reporters and readers quickly grasp the main ideas of the report. 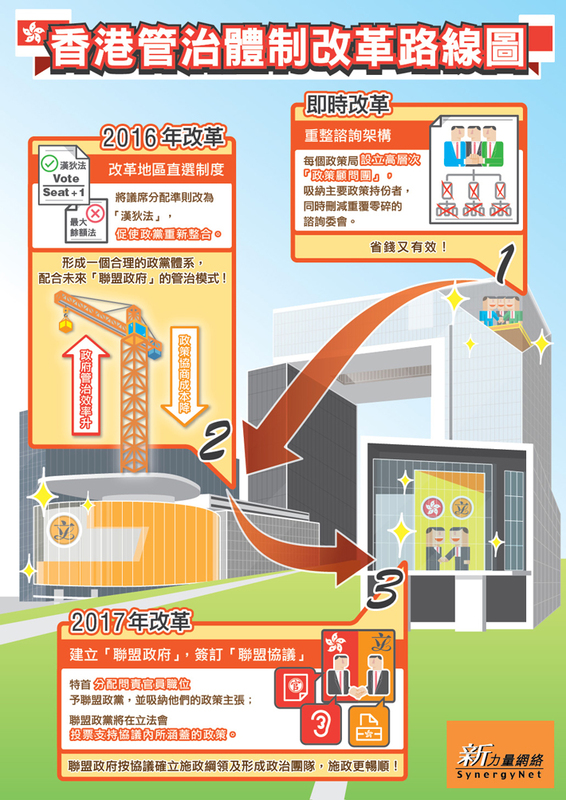 The key insights of the report are illustrated in this integrated infographic, which can be distributed in the press conference as press kits, and printed in the news column.